The world of Arty Mouse is made of bold colours and shapes, and lots of creativity. 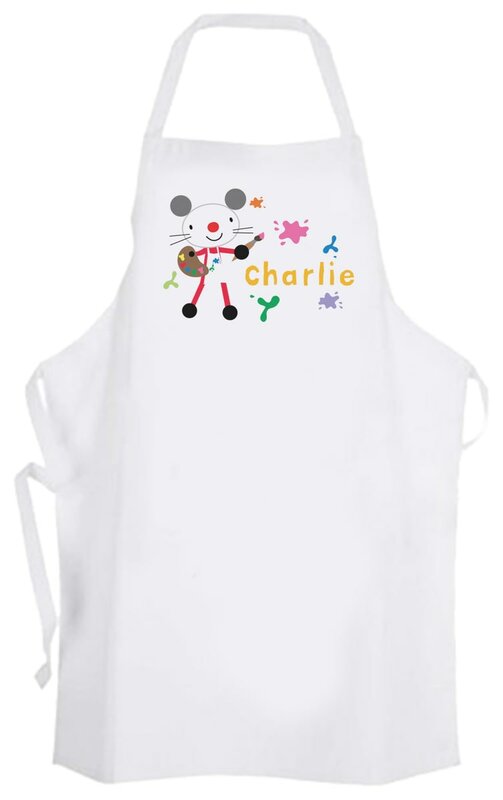 Personalise this polyester apron with any name up to 15 characters. Dimensions H: 45cm W: 50 cm D: 1.5cm. It is machine washable up to 40 degrees. In Stock, Dispatched in 1-2 days + delivery. Personalise this MDF hardboard frame with an easel back, with their name of up to 15 characters.